Tag Archives for " Phil Singleton "
Whoa. This is a bold statement, but hear me out. I have been earning a living from search engine optimization for over 12 years and I’ve tried every tactic at one time or another. Ever since Google started dropping algorithmic bombs around 2011 (think Panda, Penguin, and so on), SEO industry behavior has changed. Most SEO services have moved back onshore and “real” SEO is now an integrated part of holistic marketing. That means legit SEO companies have become web designers, social media strategists, reputation managers and yes, content marketers. In order to succeed, we as marketers and business owners must build our own audiences, strive for niche authority and become influencers. As such, I just recently started getting booked on podcasts and have been stunned by the benefits. Unbelievable access to a highly engaged audience. In one 20 to 40-minute interview, with little preparation, you can access hundreds to thousands of highly targeted listeners. If this top ten list stopped here at #1, this by itself is all the reason you need to consider a podcast guesting campaign. Easier than guest blogging. Guest blog posting is one of the most popular forms of content marketing. But it’s a grind because it takes a lot of time to write really good educational content (like I am doing right now on a Saturday morning), and there is a lot of spam and outreach noise that website owners have to deal with. Sure there are a lot of professional blog outreach services you can outsource to, but they can be pricey. The beauty of podcast guesting is that you get to be published on the host’s blog with valuable organic links via a show notes page (example). Real personal connections. One of the big surprises to me was the feeling of friendship that develops during an interview. The fact that two people (the guest and the host) have each other’s undivided attention for an involved discussion creates a bond that can turn into collaboration. For example, in my own experience, hosts have offered to make personal introductions to other influential podcast hosts. Huge. Huge. Benefit. High content production value. Most established podcasts, and even newer ones, put a lot of effort into production, including professional sound, editing, creating custom web graphics, and writing a custom show notes page that includes guest bio information, key takeaways, and resource and contact links. Cross-amplification on steroids. When a podcast goes lives, there’s this cool feeling of a mini-launch that results in a highly shareable piece of content. Hosts are happy to have interesting guests, and guests are excited to be interviewed. The nature of the way podcasts are produced and distributed (audio, web page and often video) makes them much more shareable than typical blog posts – resulting in more likes, shares, tweets, backlinks and traffic. Free long-form blog posts. I have found that some podcasts hosts will provide full interview transcripts on their show notes pages, but most don’t. When they don’t plan to publish the transcripts, I have asked hosts if I can transcribe the show at my own expense and post on my own site as a blog post. No one has ever said no! This is a great way to get really good, unique content on your site with no effort (and very little expense if you use a transcription service). Increased dwell time. Dwell time has been a hot SEO topic for the last year or so. While Google does not directly acknowledge website dwell time as a ranking factor, most SEO experts believe there is a direct correlation between a page’s rankings and the amount of time users spend on the page. Podcasts, when embedded on a website, are unique because listeners are much more likely to listen for longer periods. A two-minute video seems really long because it commands all of your senses. But a podcast of 20 minutes goes by really fast because you can be doing other things while listening. Thus, embedding a podcast audio file on your site (as part of #6 above) may help your SEO efforts. New trust badges and bragging rights. As you are interviewed on more podcasts, your reach in terms of the caliber of shows begins to snowball. In the 30 or so I have done this year, each one is better than the last. For example, next month I will be on John Lee Dumas’ highly popular podcast Entrepreneur on Fire – and plan to use this as an “as seen on” eye candy for my websites. Online reviews. One of the things I’ve done, that most guests don’t, is send a request for review feedback right after the show. This allows me to not only get reviews on important review sites, but I also repurpose these into testimonials for my websites. Again, just the review equity from this alone make podcast guesting worth it. Oh yeah, Sales! You can get lots of leads by being a guest on podcasts, but you can’t sell during the interview – this is a big no-no. Your job as a guest expert is to share your story and educate. If listeners like and learn from what you say, you will get leads by nature of being an informative guest. I have probably had at least $100,000 in new business (annualized) for my agency in a few short months, and it has definitely boosted book sales. John’s been podcasting since 2005 and gets pitched daily by folks that want to be on his popular podcast. He knows what makes for a compelling pitch to hosts and where the gaps are with respect to podcast booking service providers. After interviewing podcast booking services and using a few of them, I saw how the service is executed in a one-dimensional way. Yet, I see so many more SEO benefits to podcast booking that no one is taking advantage of, so I just had to start my own service with a brand new approach. Whether you use our specialized service, another podcasting booking service, or even your own direct outreach, I promise that if you are prepared, have an angle and a story to tell, you and your clients can use podcast guesting to skyrocket your influence and authority. Phil Singleton is a Duct Tape Marketing Certified Consultant and co-author of the Amazon best-seller SEO for Growth: The Ultimate Guide for Marketers, Web Designers & Entrepreneurs. He owns and operates a boutique web design firm, Kansas City Web Design, and markets and sells Internet marketing services under the brand Kansas City SEO. 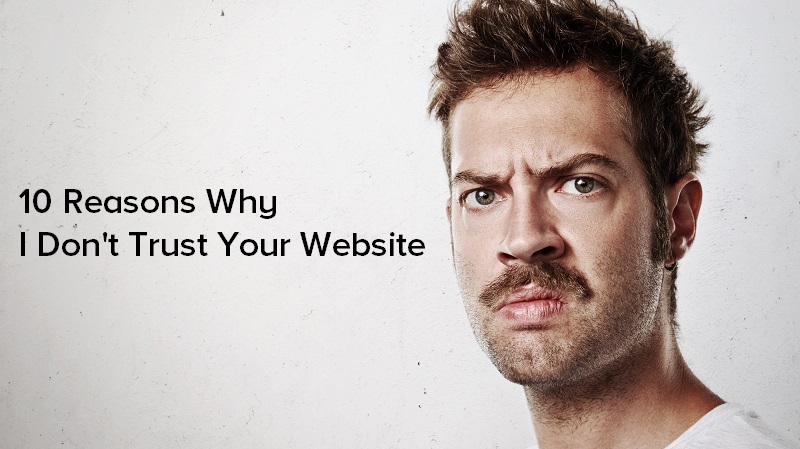 Let’s face it, most of us are skeptical when we visit a business website for the first time. We inherently distrust information on the Internet – unless it comes from trusted sources. It’s just the way it is. This is why it is essential for your small business website to convince new visitors that you are trustworthy and why you are the company they should choose. The About Us page is one of the most sought out pages of a website. When consumers arrive at your site, they want to know who you are and get to know your business’s “story.” This is your opportunity to introduce yourself, your business and your team while letting your customer know why they can’t live without your product or service. Jeff Haden provides some great tips on how to improve your About Us page. Posting a photo of your actual team develops a sense of confidence that will encourage a customer to buy from you. Without these kinds of photos, consumers may lose confidence in a website. Your goal is to create a Know Like Trust website, and including yours and your team’s headshots will greatly improve the trust factor of your site. When you display a phone number on your website it means you are accessible. When no telephone number is present, on the other hand, it can look like you are hiding something. And who do I call if there is a problem with the purchase? For local businesses, having a local area code (as opposed to an 800 number) adds trust as well. As with your phone number, a physical address adds many layers of trust to your website. People want to know you are a real, physical entity and displaying a physical address appears way more trustworthy than an anonymous contact form. Furthermore, a physical address is both an on-page and off-page SEO ranking factor. Google likes to see a physical address clearly listed on your website, preferably in the footer of each web page. Your address is also an off-page local SEO ranking factor. Adding trust badges, association badges and certifications to your website provide reassurance for potential customers that you are a credible business. There are countless badge options to consider, from payment and security to membership associations. The more you have present (which are only available if you meet specific standards) the more trustworthy your website will become. Some organizations to think about using include business association sites like the BBB and your local chambers, charity and volunteer sites your business is associated with, as well as website security badges that come along with services from TRUSTe, McAfee, VeriSign. The power of a testimonial is found in its objectivity. This means that someone outside of the brand is doing the talking, so the credibility is MUCH higher. A 2013 study by Dimensional Research concluded that 90% of customers are influenced by online reviews – that is pretty much all of us. You should make it a priority to include customer reviews on your website and research more on how to get clients to leave a Google maps review to improve your local SEO visibility. You need to prove that you can deliver on the promises you are making. In addition to publishing testimonials from clients, show off your portfolio and publish a case study. Each of these components will prove that you can back up the claims you are making to offer superior products or services. This provides a consumer with tangible proof. According to BlogHer, 81% of U.S. consumers trust advice and information that is published on blogs. Also, when you blog regularly, customers will see that you know the business and that you are providing valuable and actionable information they can use. Blogging makes you an authority and people trust authorities. If you have yet to create any content that shows you are an authority, it can be hard to convince consumers you are a trustworthy source of information. Publish blog content, create an eBook, produce podcasts and show people what you know to build your own creditability. Blogging is also an important SEO ranking factor. John Jantsch provides a great list of the 7 most important SEO factors for bloggers. Being able to maintain an active presence on social media is essential. This means that you are engaging with the fans and followers who like or share your content. Social media is considered a two-way street and if you don’t participate in the conversation, then it can cause customers to lose trust in what you do and offer. They may even begin to believe you don’t care about their input or feedback. According to a Stanford University study, 80% of people judge the credibility of a company by its website design. Whoa! Something to really think about if you have a cheap WordPress theme, a GoDaddy web-builder website or something that was slapped together by your nephew. Most businesses take their websites for granted and have unknowingly lost a lot of business, especially lost referral business. With over 50% of Internet searches made on mobile devices, you simply must have a mobile friendly website. Your website looks SUPER dated if users have to pinch and zoom to view content on your site. Pound for pound, the condition and quality of your website is probably the most important website trust factor. Phil Singleton is a self-described ‘SEO grunt’ obsessed with tweaking websites for search engine optimization and conversions, and creating WordPress SEO & PPC plugins. He owns & operates Kansas City Web Design and Kansas City SEO. 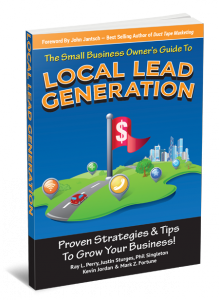 Phil is co-author author of the Amazon best-seller The Small Business Owner’s Guide To Local Lead Generation (2015), and author of the Amazon best-selling Kindle eBook How To Hire A Web Designer: And Not Get Burned By Another Agency (2015). Visit his latest website at https://digitalprowebdesign.com or connect with Phil Singleton on LinkedIn. Earlier this month, Google surpassed Apple as the world’s most valuable company. The two companies have yo-yoed for first place since then, but the point is that Google is one of the most successful companies in the history of capitalism. There are more than 3.5 billion Google searches every day. That’s more than 40,000 searches per second. Google Search has evolved into a fundamental part of the purchase process. This is a nice way of saying that Google has monopolized the way we search for products, services and information on the Internet. No matter how your prospects hear about you, they are unlikely to buy from your company without Googling it first. You know it’s true. If they can’t find your website, or don’t like what they see in terms of your web presence or reviews, they buy elsewhere. Your website is so important, in fact, that a Stanford University study concluded that 75% of people judge the credibility of a company based its website. Every time I quote this statistic it just blows me away. Credibility. Wow. If you are a small business owner, people now judge your entire life’s work based on the design and content of your website. Think about that next time you look at your website traffic and bounce rates. Google gets the horses to water, but your site and its content must get them to drink. If you don’t get SEO and your website right, many of your referral leads, trade show leads, and advertising leads bounce right into the arms of the competition. Outbound marketing and advertising create demand. Inbound marketing and SEO capture demand as it filters back through the Internet. Virtually every business owner we talk to claims that they do not click on Google Ads. That may be true for most of us. Depending on who you believe, AdWords pay-per-click ads get anywhere from 5% to 30% or more of all Google search clicks. Yet, Google makes most of its money from the AdWords platform. The point is that just by siphoning off a small percentage organic clicks in into paid AdWords clicks, this company has been able to grow into the world’s most valuable company. In my opinion, this fact alone underscores how important organic search has become for modern marketing. That last statistic is really important. At my agency, we have seen first-hand how the C-suite is assigning millennial staff to search the Internet for potential vendors in order to develop short lists for in-person meetings. This younger generation of digital gatekeepers does not have the experience to know who the players are in your space – they depend on Google to serve up the “best” companies. If your website is up to date and professional, your online reputation is strong, and your content conveys authority, you get on the list. It’s that simple. Referral marketing may be one of the best tactics on the planet – and one every small business needs to master – but it’s impossible to scale a business on referral marketing alone. One the other hand, if you seriously want to grow your business, you cannot avoid Google. The good news is that everything you should be doing to establish a strong digital presence also helps your SEO rankings. Many of the Google ranking factors that count the most are things you should be doing for your business anyway. Social media, blogging, and reputation management are all elements of SEO that also carry additional marketing and advertising value. SEO is no longer about writing a check to someone to “do SEO” on your site. As a business owner or marketer, you should develop an SEO frame-of-mind. Your website is an investment, not a digital brochure. The more you view your website as your marketing hub and as a content publishing platform, the better it will rank on the search engines. Phil Singleton is a self-described ‘SEO grunt’ obsessed with tweaking websites for search engine optimization and conversions, and creating WordPress SEO & PPC plugins. He owns & operates Kansas City Web Design®, a Kansas City inbound marketing agency, and Kansas City SEO®. Phil is co-author author of the Amazon best-seller The Small Business Owner’s Guide To Local Lead Generation (2015), and author of the Amazon best-selling Kindle eBook How To Hire A Web Designer: And Not Get Burned By Another Agency (2015). 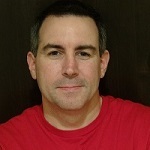 Visit his websites at http://kcwebdesigner.com and http://kcseopro.com, or connect with Phil Singleton on LinkedIn. It’s guest post day here at Duct Tape Marketing and today’s guest post is from Phil Singleton – Enjoy! I recently enrolled in John Jantsch’s Duct Tape Marketing Certified Consultant program. A couple of my fellow SEO and web design friends asked me why, which almost made my head explode. 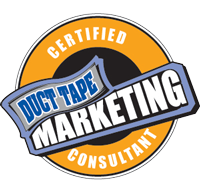 The new Duct Tape Marketing Consulting Network is not just for traditional marketing consultants anymore. 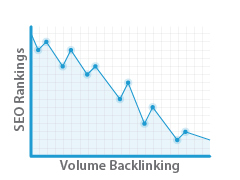 In terms of search engine optimization, volume-based link building is dead and unnatural link building is dying. For years, Google preached about content being king, while all the while rewarding volume-based link building. Thankfully, with advanced web spam fighting algorithm updates such as Penguin and Panda, back-room link building is gone and now content really is king. In order to create and execute an effective content-driven SEO strategy and to succeed in the new age of search engine optimization, we SEOs need a better, more comprehensive understanding of small business marketing. It’s just that simple. John Jantsch and Duct Tape Marketing are two of the most trusted names (if not THE most trusted names) in small business marketing. Yet my niches, specifically search engine optimization and online marketing, suffer from reputational issues. Years of hard-sell cold-calling and deceptive marketing practices by thousands of domestic and offshore service providers promising SEO gold have tarnished our industry. So many small businesses have been burned by Internet marketing companies that SEO is perceived as snake-oil. While I think my own firm’s history, track-record, online visibility and client references help to overcome industry reputation issues, becoming a Duct Tape Marketing Certified SEO and web development professional will inspire confidence and trust. When we walk into a prospective client sales presentation, we are already able to show compelling reasons to choose us through our track record, approach and case studies. But a Duct Tape Marketing certification will really help elevate our sales pitch. Would you rather have a hollow design-driven website, or an SEO-driven website developed from the ground up by formally trained and certified Internet marketing professionals? Yeah, I thought so. The program isn’t just about leveraging brand power. There is a formal training program. John’s Duct Tape Marketing books have already made me better at what I do, but I know the program and network will take my game to another level. I am also looking forward to learning the system and applying it to my own business. John has a huge, targeted following in all of the major social media channels. Additionally, he has several website properties with very strong traffic and search engine authority. Even without all the other benefits, this is almost enough of a reason by itself to join the network. I now have access to one of the most powerful content distribution networks in my niche – which gives me the opportunity on occasion to present worthy, high-quality content and get that content posted, promoted and amplified throughout this channel. Check out the Duct Tape Marketing™ badges on my websites: http://kcwebdesigner.com and http://kcseopro.com. See what I mean? Our SEO and web design clients immediately see the value of having a web development and SEO services provider that is also certified by the most trusted name in small business marketing. From a marketing and sales perspective, our Duct Tape Marketing certification will enable us to really ‘stack the deck’ in terms of value-proposition. Becoming part of the Duct Tape team not only gets me more personal access to a small business marketing guru, but John is also literally a handshake away from most of the leading influencers in my niche…perhaps giving me the opportunity to see one of these leaders in person at a Duct Tape Marketing event, and dare I say maybe even meet one of them someday. I was lucky enough to get a sneak peek at some of the new tools and systems available to certified consultants. I also learned that network members will also get meaningful discounts to business services and subscriptions that are relevant to my business. Yes, this is the gift that keeps on giving. On top of all the other benefits listed above (and probably more I don’t even know about yet), I get to be a member of an exclusive referral network of trusted Duct Tape Marketing consultants. I kind of view this as one of the many cherries on top, but this could potentially lead to a lot of new business for my company. I am very happy that there is a financial investment associated with joining the Duct Tape Marketing Consulting Network and becoming certified. Given the massive amount of value, the licensing and certification fees are an absolute no-brainer for serious SEO and web development professionals. I am very happy that the privilege of joining the network requires you to put a skin in the game and complete a formal training process. If it were cheap and easy, everybody would do it and it would have a lot less value. Phil Singleton is the owner of Kansas City Web Design®, a web development firm specializing in SEO-friendly WordPress websites and custom website applications, and Kansas City SEO®, a full-service Internet marketing services company that provides organic search engine optimization and other online marketing services. Contact Phil on his Google+ page or LinkedIn page. Thursday is guest post day here at Duct Tape Marketing and today’s guest is Phil Singleton – Enjoy! 2013 was an exciting year for small business Internet marketing. Search engine optimization transformed from a game of link popularity into what it was supposed to be from the beginning: high quality, relevant content from trusted sources. Make no mistake; quality links pointing to your website are still really important. It’s just that content marketing and social network participation are (collectively) more important. There is a great line from a Duct Tape Marketing Blog post from last year: “Content is King…Really, we mean it this time.” As a boutique web design company that creates SEO-friendly web designs, we can report to you with absolute certainty that high quality content is king. How do we know? We are on the front line of small biz SEO – we have dozens of SEO clients and have seen first-hand how client companies with both active blogs and social media networks handily outperformed their competitors in 2013. If you are a small business owner and somehow still have high organic search engine rank without a content strategy, let me be the first to tell you that at some point in the near future you will be kissing your organic rank goodbye. 1. The Fall of Boiler Room Link Building – Hip, Hip, Hooray! Low cost, high volume offshore link building is not only dead, it’s super risky. Google dropped the granddaddy of all backlink penalties on October 4th 2013 (Penguin 2.1 aka Penguin 5) – and guess what – more Penguin updates are coming. If you are using an offshore link building strategy, you may soon find your website flagged with a Manual Action or an Unnatural Link Warning message in your Webmaster Tools account. Don’t know what a WT account is? Start Googling and get your account setup today – it’s the best way to check the search engine health of your website or to see if you’ve been hit with any penalties – and probably the best way to keep tabs on your SEO company. Remember Ben Franklin’s famous quote? In this world nothing can be said to be certain, except death and taxes. On the Internet, pretty much everything you put out there is a part of permanent digital record. This is especially true of your website’s backlink profile. Even though your site may not yet have been slapped by Mother Google, your website still may be at risk. Further, today’s white-hat SEO methods may become tomorrow’s prohibited activities – and Google always catches up with short-cut link building techniques. By focusing on quality content and by creating your own content distribution channel, you can start naturally attracting quality links instead of artificially creating risky links. We’ve been in and around web design and SEO for over ten years. If you can believe it, we didn’t have a blog or any type of social media account until last year. Why so late to the party? Because until last year, we could dominate our own online niches with a static website and passive SEO strategies. Social media is now a critical component of SEO. Just creating great content is not enough. The search engines need some way to determine if your content is valuable and the best measureable way for them to do this is to calculate the number of social signals (shares, likes, pluses, tweets, links, etc.) pointing back to your content. So when our agency discusses “content marketing”, part of what we mean is promoting content through your active social media channels. In terms of small business websites, blogging represents both the biggest opportunity and the biggest challenge. Blogging not only helps to establish your company as an authority, but it’s also proven to increase website traffic conversion rates. Most importantly, blogging is the best way to add high quality, relevant content to your website. The search engines love high quality blog content. Search engine ranking factors have changed dramatically over the years, however, most SEO industry experts agree that blogging is now critically important. This is never going to change. All small businesses that want to achieve and sustain maximum search engine visibility will have to maintain an active blog. Ideally, company blog posts are written by the business owner or some other experienced employee. If your company does not have an active blog, you should consider making it a priority this year. We said it: maintaining an active blog is essential. There is more you can do. Guest blogging is a phenomenal way to get exclusive, relevant, high-quality content on your website. What’s even better is that the guest author will typically market their guest blog post for you. That’s right – they will go out and blast your website to their social networking channels and help market the content for you! Supplementing your own blog with a well-executed guest blogging program will get you both great content and coveted social signals…free of charge. Guest blogging goes both ways. You also want to target high quality, relevant websites and post on their sites. Reciprocal guest blogging is a secret weapon for many SEO companies. 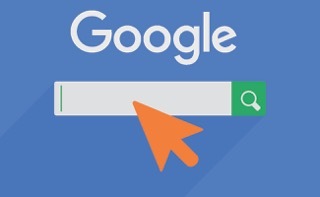 Organic search engine rankings are more important than ever. The ranking factors have shifted from being backlink-centric to being content-centric. Companies have to be careful to avoid the same types of SEO short-cuts that got webmasters and business owners in trouble in the past. The search engines are getting really good at filtering out copied and low quality content. 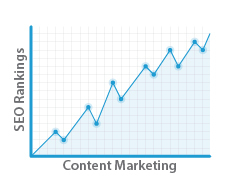 Spammy filler content from domestic and offshore content farms will hurt your rankings. Google has declared war on all forms of webspam. In fact, they just recently condemned content stitching and warned against misusing guest blog posts. In other words, you should only publish unique blog content that is interesting or useful to your audience. If you try to blog only for the sake of the search engines, chances are you will fail to get any SEO value. For most businesses, great content is everywhere. It’s just a matter of extracting stories and lessons from everyday business experience and having the discipline to document and publish them on a regular basis. Phil Singleton is the owner of Kansas City Web Design®, a web development firm specializing in SEO-friendly WordPress websites and custom website applications, and Kansas City SEO®, a full-service Internet marketing services company that provides organic search engine optimization and other online marketing services. Contact Phil on his Google+ page.